A modified cushion-cut stone exhibiting both stepped and checkerboard faceting revealing the high clarity of the material. 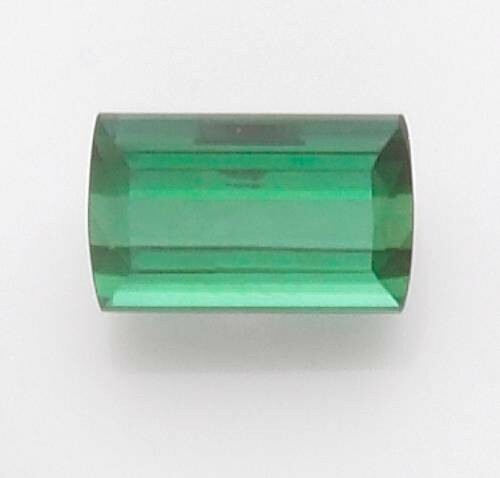 Its excellent luster is surpassed only by its rich bottle green color. An excellent ring-sized stone.